Dr. Michele Pittaluga, who died on June 19th 1995, at the age of 77, was the founder and inspirer of the International Guitar Competition of Alessandria. The competition, which began in Italy in 1968 was, and still is one of only a handful of guitar competitions to have achieved a genuine international prestige. Michele Pittaluga was born in Alessandria in January 1918, and towards the end of his childhood exhibited a general interest in art and in particular music. It was during his high school years that he wrote the first of many articles on musical criticism for a local journal. At the end of his schooling, he studied chemistry at the University of Turin, until the Second World War interrupted his studies. In 1943 he was arrested by the Nazis and interned in a concentration camp. He put his musical ability to good use, forming a string orchestra among the inmates and giving many concerts. After the War he resumed his studies, graduating first in chemistry and, a little later, in pharmacy. In 1946 he married Isabella Boveri; they had three children: Marialuisa, Micaela and Marcello. Around that time he founded a company that dealt with the wholesale distribution of medical, chemical and pharmaceutical products. But music continued to be a major interest. From 1965 he was President of the Liceo Musicale «A. Vivaldi» in Alessandria, which in 1971, thanks to his devoted interest, became the Conservatorio Statale di Musica, of which he was President up to 1982. In 1968, in celebration of the eight hundredth anniversary of the founding of the city of Alessandria, Dr. Pittaluga applied his energies to the realisation of other important cultural events such as an art exibition in the Palazzo Cuttica, the publication of a book by Andrea Tafuri with the title “La vita musicale di Alessandria: 1729-1968”, and, significantly for guitarists, the setting up of the City of Alessandria prize for the most promising young guitarist, a project that was greatly strengthened by the collaboration of the renowned musicians Andres Segovia and Alirio Diaz. For this bold initiative and for his tireless activities on behalf of music and art, Dr. Pittaluga received national and international recognition. In 1973 he was named a Cavaliere della Repubblica, and in 1974 he received a gold medal bestowed in recognition of his work on behalf of education, culture and art. The Rotary Club honoured him in 1978 with a Paul Harris Fellowship, and in the same year he was nominated Commendatore of the Republic. In 1993 he was awarded the Marengo Music Prize. 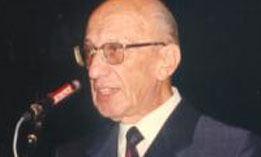 A versatile personality, well-known in literary and artistic circles and in contemporary art, Dr. Pittaluga’s humanistic qualities were manifested in his success as president of the Rotary Club of Alessandria in 1974, and as founder and president of a branch of the same organisation in Novi Ligure in 1978. From 1975 onwards he participated in many international guitar juries: Paris, Martinique, Brazil (Porto Alegre and Rio de Janeiro), Chile, Spain (Benecasim), Venezuela (Caracas) and Mexico City. Michele Pittaluga will also be remembered as a keen supporter of the Italo-Brazilian amicizia musicale (musical friendship circle), confirmed by his appointment to Knight Commander of the Order of Palestrina, in the city of Porto Alegre, the first time the title had been awarded to a non-Brazilian. He was also given honour fellowships by the Rotary Clubs “independéncia” and “Bonfin” of Porto Alegre. In the last years of his life, Dr. Michele Pittaluga’s lectures in the history of music were highly regarded. Guitarists, however, will always remember Dr. Pittaluga as the founder and leading personality of the Alessandria International Guitar Competition. The importance and influence he had on culture in Alessandria are now honoured and remembered in the Auditorium of the Antonio Vivaldi conservatory and in the gardens in Via Cavour which are named after him.